I recently received this announcement from Generations Map and I have to say I am intriqued and hope to check out this program once it goes live and will give you a full review. In the meantime, take a read at this new web applicaton to make lovely generation charts and also take a peak the video tutorial. 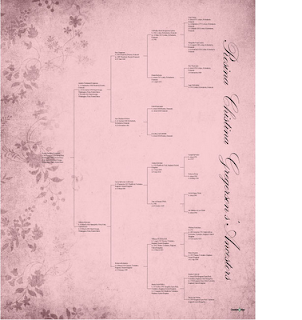 Beginning March 8th, 12 noon mountain standard time you can log on to generationmaps.com and experience first hand this new web application that will make creating and designing beautiful genealogy charts easier and faster than ever before. • HIGH QUALITY GRAPHICS: Generation Maps offers modern, classic, colorful graphics to beautify and enhance your chart. • FAST AND EASY: First time users can create beautiful charts in just a few minutes. Previously, chart printing required purchase, installation and juggling of various design software programs, online databases and file formats. Family ChArtist has combined all these elements for you and allows you to simply create what you want over the web. 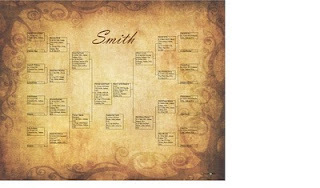 • GENEALOGY CAPABILITY: Family ChArtist is FamilySearch Certified, applying information straight from FamilySearch to your chart. FamilySearch information can be edited as necessary. 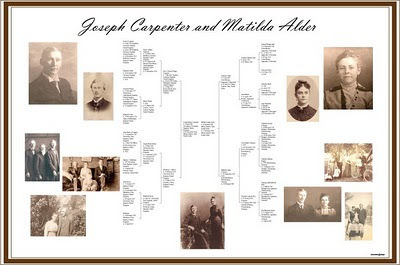 Your family genealogical information can also be entered using a Gedcom or manual entry. Generation Maps is working toward future integration with other software and picture database systems as well as genealogy software companies. • FLEXIBLE OPTIONS: Generation Maps has created Family ChArtist with powerful, user-friendly features. You can adjust the same graphic in many different ways, using transparency, rotation, and scaling controls, to create exactly the look you want. Attractive new enhancements can also be added to each graphic to create very different charts. Family ChArtist is flexible, allowing you to add or correct information about yourself, siblings, cousins, stepfamilies, and other relatives. Additional personal information such as prominent characteristics, careers, etc., can also be included. • INEXPENSIVE PRINTING: Any 8.5 X 11 chart you create can be printed FREE on your home computer. High quality professionally printed charts range in size from 16"x20" to 36"x48". Inexpensive draft copies on standard bond paper start at $19.95. Other printing options include presentation, glossy photo and parchment papers, as well as beautiful canvas giclees. You can also purchase a .pdf file for $34.95, and minutes after you place your order you will receive an email with a link to download your file for later use. As with all Generation Maps charts, extra copies are always HALF PRICE. Order copies of your chart to give to your children or other family members as meaningful gifts. create something personalized for your family. You choose the layout, information to be included, size, paper, color, pictures, borders, backgrounds and artistic design. Each chart is a direct expression of your individuality. With Family ChArtist, you can create an 8.5 X 11 chart free of chargeand save it to your computer to print whenever you choose. If you decide you want to print a larger size for your home, just order from the same menu and your chart will be printed and shipped to you promptly. Whether you are decorating your home, creating a familybook, looking for a special gift for someone you love, or bringing your heritage to life for a family gathering, Family ChArtist will help you fashion a beautiful expression of your family's history for your surroundings. To find out more about Family ChArtist and its outstanding capabilities, go to http://www.thechartchick.com/. Janet Hovorka, development director for Generation Maps, will be sending out a new blog post each day until the official release of Family ChArtist. Each ChartChick blog post will feature different functions and design options on the new site. Users will find creative chart suggestions and ideas to help them use Family ChArtist when it becomes available March 8th. We will post daily updates on The Chart Chick which also will highlight the features of this new program. Enter our Family ChArtist Contest. Become a fan at the facebook page for Family ChArtist, or follow us on twitter to join us for a contest in this coming week. Details will be posted on the blog.